INDUSTRY.co.id - Jakarta - Carsome, an online used car sales platform, said it will expand the market in order to reach more areas in Indonesia to meet the needs and demand of used car market in the country. Country Manager of Carsome Indonesia Andreas Djingga said it will expand to reach a wider market in Indonesia. "Obviously we will be recruiting more human resources to join Carsome in the face of an exciting and challenging journey ahead," he said in a written statement in Jakarta on Friday (6/4/2018). This is in line with the company that has just gained international investor confidence marked by an injection of funds worth 19 million US dollars or equivalent Rp261, 3 billion for funding series B. The company is supported by local and global investors from Europe, China, USA, Japan and Singapore. The new investment is led by Burda Principal Investments followed by Gobi Partners, lInnoVen Capital, and Lumia Capital. Carsome currently operates in four countries: Malaysia, Singapore, Indonesia and Thailand. This additional funding is planned to be allocated to enhance and deepen Carsome's footing in Indonesia and Thailand. 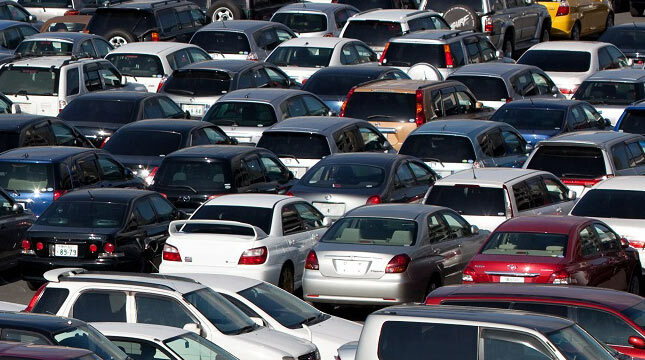 Both countries are the largest automotive market with 3.6 million used car deals every year. Eric Cheng, Co-Founder and CEO of Carsome explains the additional funding will help Carsome to intensify its ambition as a new way to sell used cars. "Today, the used car market in Southeast Asia is estimated to be worth more than US $ 30 billion annually but is still fragmented, inefficient and less transparent.We identified the problem by providing an integrated, transparent online used car sales platform to make it easier for consumers to sell their cars to dealerships quickly, fairly and freely, "Eric Cheng said. Carsome's total monthly transaction value has increased fourfold since January 2017. Total car sales facilitated by Carsome's online platform, also increased fourfold with more than 70 percent of transactions conducted between cities, strong evidence of value proposition and product matching. offered by this business model.